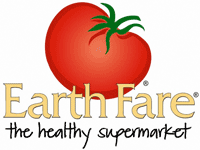 Check out the Earth Fare Ad for this week. Look for some great deals this week. Don’t miss the Made Fresh Rotisserie Chicken on Friday Only.